Finding yummy desserts for a diabetic can be quite a challenge, but this one turned out completely yummy! 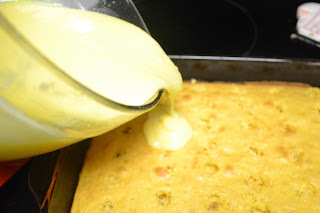 I found a fabulous dessert for Banana Poke Cake over at www.thecountrycook.net and decided to make it into a sugar free option for my diabetic husband. You can of course make it not sugar free by using regular ingredients instead of the sugar free ones. 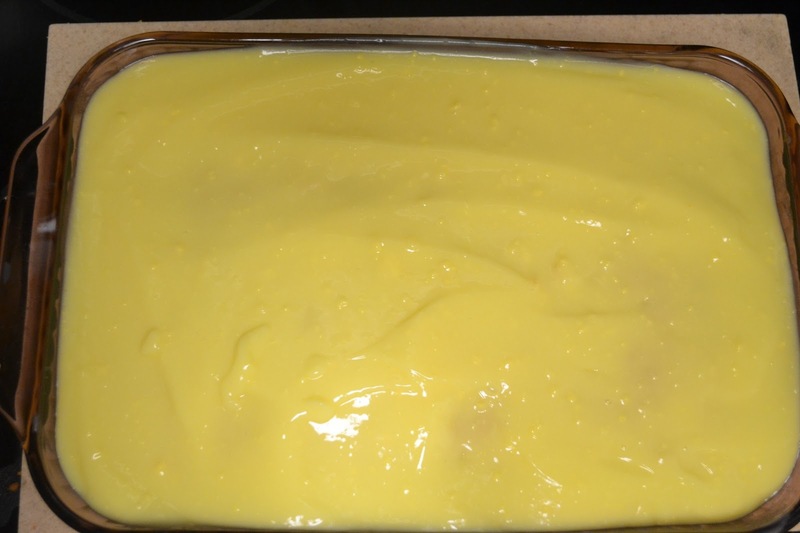 It is almost better than banana pudding ,and is perfect to take along to your next potluck or gathering. You will be asked for the recipe I guarantee it! I did make one change that I felt necessary,but you may find shocking and inexcusable. I ditched the traditional vanilla wafers for graham crackers! (Insert gasp here!). Because I am specifically making this for a diabetic, and as of yet I have not found sugar free vanilla wafers (although I'm sure they are out there), I used graham crackers. They are made with whole wheat flour and although they have sugar they can be worked into a diabetic diet within reason (as any sugar can so feel free to go with vanilla wafers!). It doesn't have sliced banana's in the pudding although you could easily sprinkle some diced banana's on top of the pudding before spreading the cool whip. I just sliced some on top fresh just before serving. 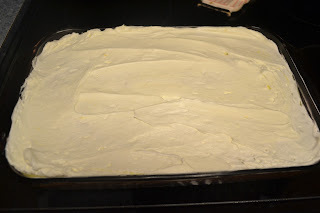 Make cake mix according to package directions and bake in a 9 x 13 pan. 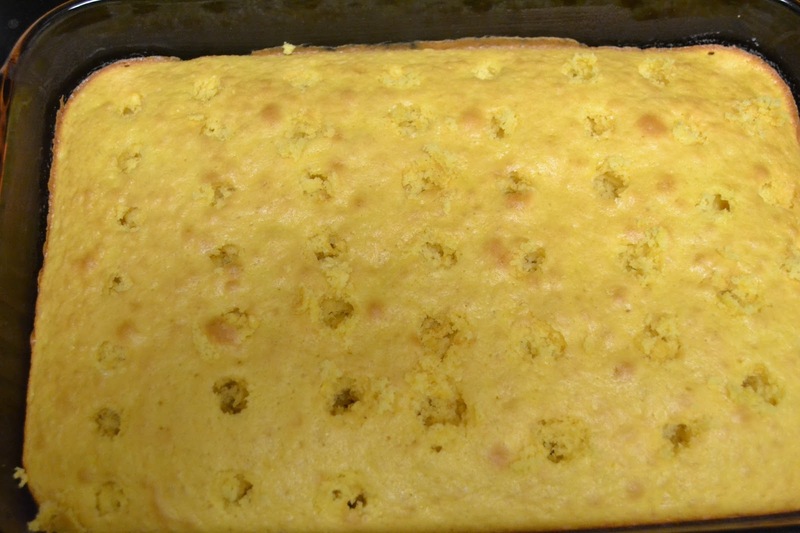 Remove cake from oven when done and using the handle of a wooden spoon, poke holes in the cake. Mix pudding and before it sets up completely pour it over the cake slowly, trying to make sure into the holes. Using a spatula spread the pudding over the cake working the pudding down into the holes and spreading evenly. 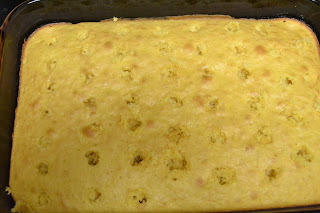 Put cake into the fridge to cool and "set" 30 minutes or so. Pull cake from fridge and spread cool whip evenly over the pudding layer. 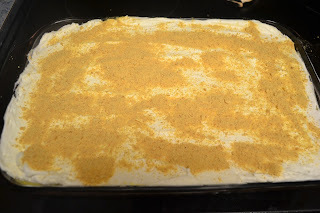 Sprinkle graham cracker or vanilla wafer crumbs over the cool whip. 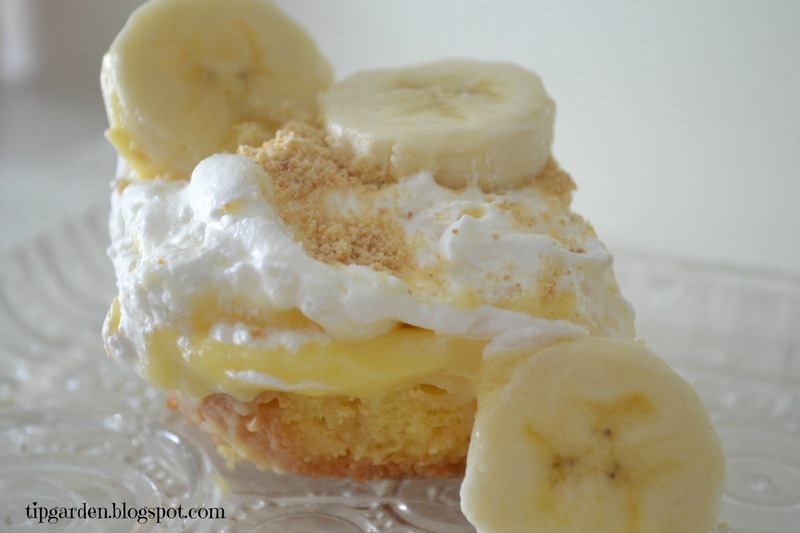 Serve with sliced bananas and a vanilla wafer or graham cracker stick.